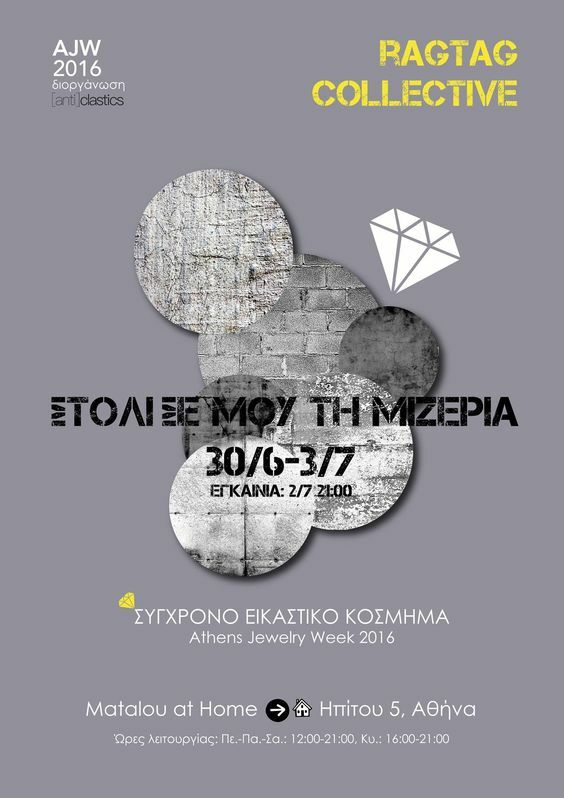 The feeling everyone has but nobody admits, becomes the main motivation to create: 6 Greek designers-members of the « Ragtag Collective », use Contemporary Jewellery as a means to express, change, fight, overcome their own misery, and maybe yours, as well ! George Giannoutsos - « Sheli » Brooch. Sterling silver, semi-precious stone fragments, artificial resin, smoking filters, pigment.